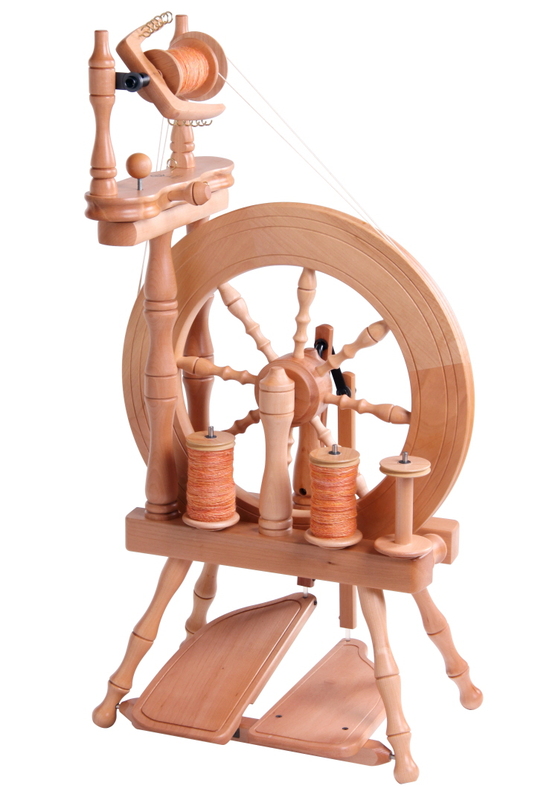 This lightweight, compact castle wheel will spin fine to medium yarn using the 3 drive ratios and bulky yarn with the optional jumbo flyer. The wheel is easy to start with double treadles that are hinged to allow a comfortable heel-toe action. Ball bearings make treadling smooth and effortless. Four bobbins are supplied and are quick and easy to change. Included accessories: 4 standard bobbins, built-in lazy kate, threading hook, learn to spin booklet.